Our History | Federation of Wine and Food Societies of Australia Inc. 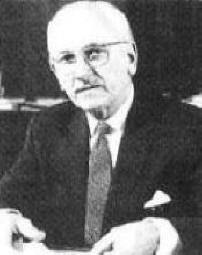 The FWFSA was formed by Victor Gibson AM. Victor Gibson AM was a born leader with a wonderful ability to command respect and induce enthusiasm in others. He was the founder of the Wine & Food Society of Australia and instigator of the first Society – the Wine & Food Society of Victoria in 1956. There were initially about sixty members of the WFS of Victoria, many of whom were prominent individuals in Melbourne. Victor made his presence felt almost immediately, at first through his interest and willingness to learn more about wine and food, and secondly through his obvious skills at organisation and management. Victor has always believed that good management practices would avoid most impending disasters by an introduction of a set of procedures for all wine and food masters to follow. It laid down their responsibilities, their reporting lines, and their authorities. This set of procedures has been expanded and refined over the years and today is a major function management tool of all Societies. As a member of the WFSV, Victor was a member of the International Wine & Food Society (IWFS). From its foundation in 1936 until 1982, all Australian societies were member branches of the IWFS. It was this association that brought him into constant contact with Andre Simon. Many other prominent members of the WFS of Victoria and the Bacchus Club in South Australia (Australia’s second Society) met and entertained Andre, but none were able to muster the organisational forces or skills to the extent of Victor. He arranged for Andre to visit Australia where he was entertained at vineyards, kitchens, and in the dining establishments across Victoria and South Australia. During 1967 Victor gave some thought to the possible establishment of a regional body of the WFS in Australia. In 1969 he gathered a number of prominent wine and food personnel with a view to forming an Australian body. It was formed in 1969 as the Wine & Food Society of Australia (WFSA). Victor was appointed its first President and remained in office for the maximum term of two years. Today there are 43 branches of the Society across Australia. These Societies enjoy the fellowship of good food and great wine, which is an honourable epitaph indeed for our Australian founder.